Sushi and Japanese is quite an interesting book to read. 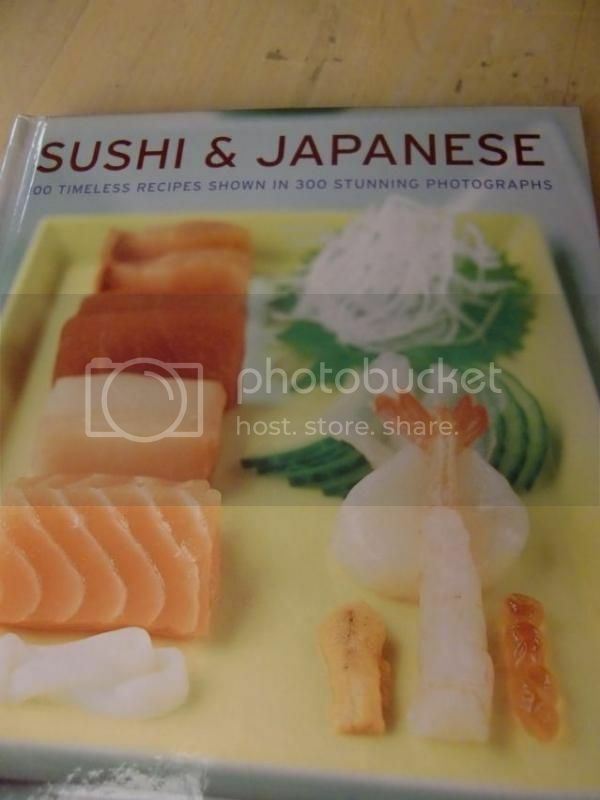 Part history book, part encyclopedia, it the perfect book for somebody who wants to start learning how to cook Japanese. All I know about Japanese food is basically all that I have eaten in restaurants and have re-created at home. This book offers a glimpse of what the ordinary Japanese women make for dinner for their families. I’ve tried some of their recipes, and they have left me with the distinct impression that though Japanese food is simple, they are not easy to make because of the extreme fussiness of their food preparation techniques. But hey, who said that making good food is easy? 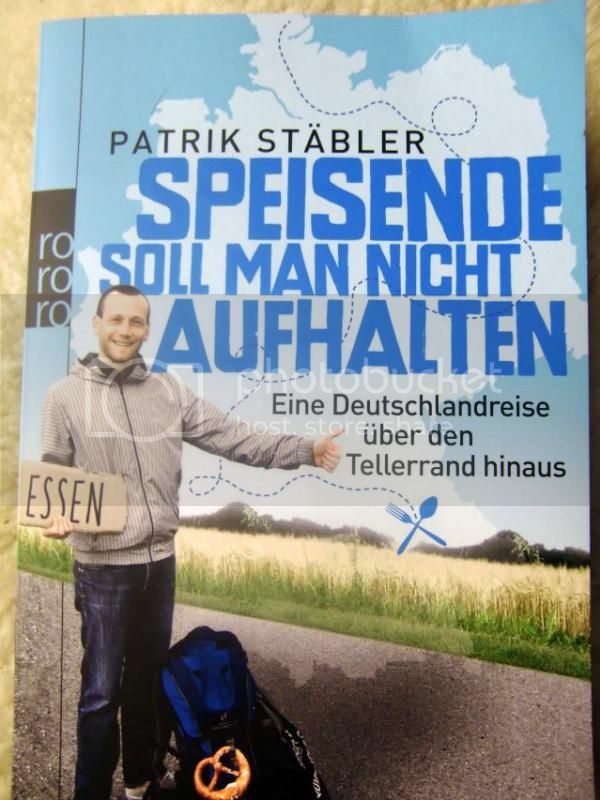 I like this fellow Patrick Stäbler. He’s a journalist. He likes food. He’s adventurous. In these points we have a lot in common. However, his curiosity has taken him somewhere I haven’t been yet. Namely through Germany. Patrick, who is quite the gourmet, has realized that he eats Sushi more often than he does Schweinhaxe. So he goes on a journey to eat obscure regional dishes from each of Germany’s 16 states. So to make the trip a whole lot more difficult and interesting, he decides to hitchhike to his destinations and crash at people’s apartments along the way. He wrote a blog, and found himself a publisher. The book, Speisende Soll Man Nicht Aufhalten, has a double meaning in German. You could translate it like I have in the title, or as “Do NOT Stop for a Hungry Man.” Then his trip became part of the Leipzig “Iss Was! ?” exhibit, which is how I decided to stop by the gift shop to get the book. In between bites of funny-sounding unheard-of specialties like Dibbelabbes or Schnüsch, he eats other, more popular regional specialties like Döner and Currywurst. And he meets a motley crew of people along the way, like the chic Russian nurse who commutes from Germany to Luxembourg, to the neo-Nazi who took him to Berlin. The book is funny and well-written, I feel that he tries too hard at some places, but that is okay, since his earnestness is winning. Like most blog turned books, the book has a chronological narrative, and can seem boring at times, especially when he describes the days when he could not get anyone to pick him up. It was strange to read Patrick rhapsodize about German dishes. Maybe it’s just Thuringia, but I do not experience a vielfalt of flavor when I eat German food. It has basically three different flavors: sweet, salty, and fatty. Maybe sour if you eat Sauerkraut or Sauerbraten. Let’s just say that while I like a good Braten, the taste palette is sehr begrenzt. In general, I would recommend this book for people who want to prepare obscure German dishes (the recipes are in the book), for immigrants who want to learn more about Germany (provided that your German is at a B1-B2 Level), or for anybody who likes German food in general. I hope that it’ll be successful enough to warrant an English translation. And if you are ever in Berlin, the best Döner I’ve ever had was right across the road from the Zoobahnhof. Alas, I think it doesn’t exist anymore. See, I still feel very insecure about my abilities as a cook. I am not very inventive. I am more of an experiment with what I know person. Filipinos have a saying for amateurs, that they “still need to eat a lot of rice.” I feel that about myself. Am I worthy enough, am I good enough, to buy this book? 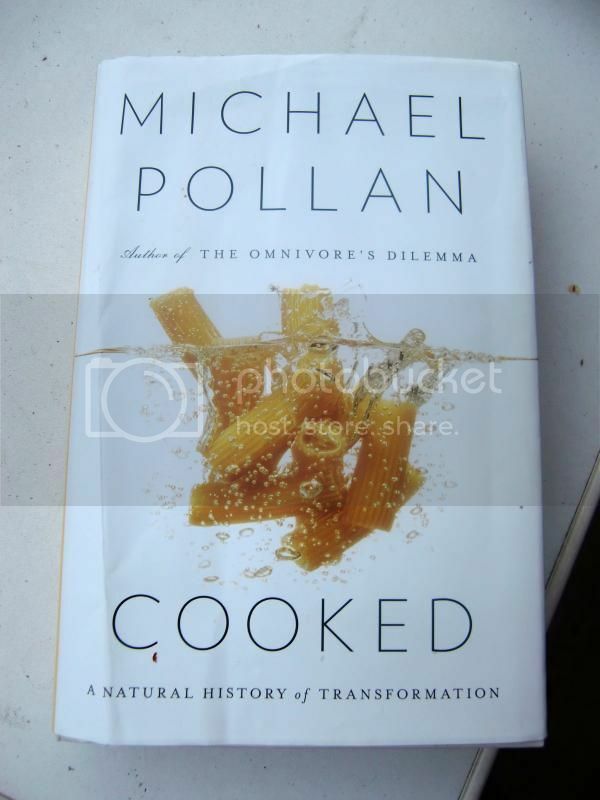 A book that is a bible for many cooks? I was afraid that this book would be better bought by someone who has better talents in the kitchen than me. I still do that when I shop. Do I need it, or will it better serve another person? Despite my doubts, I bought the book, my curiosity overpowering my nervousness. I am still so afraid, so in awe of this book that I consult and peruse and imbibe whatever knowledge that I can (did you know that the wasabi that we buy in the market is not real wasabi, but a mixture of horseradish and mustard?). Normally, I do try to read a book from cover to cover, even if it is an encyclopedia. 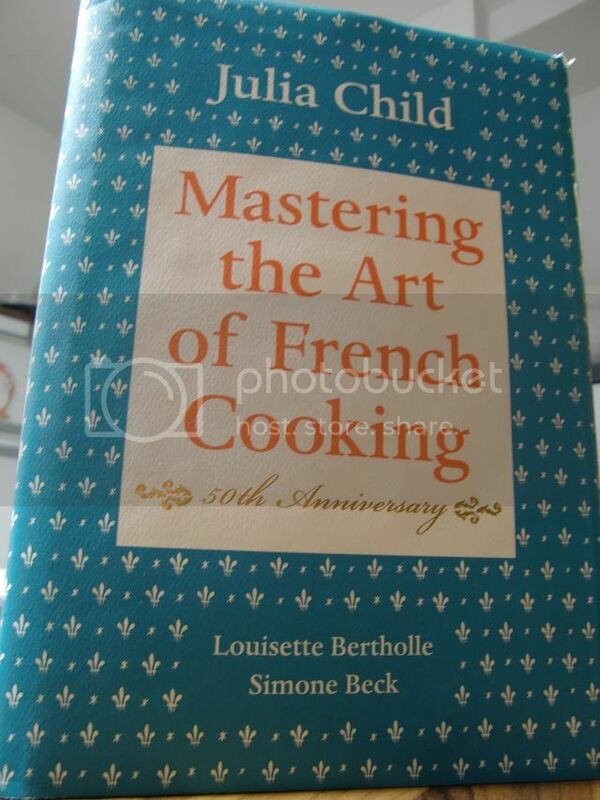 It is very informative about western cooking, especially French cooking. It is understandable that the history of cooking as written in the book is French-centric, given that this is a French book. Is it a necessary investment? Well, let’s just say that if you didn’t study at Le Cordon Bleu, this is a cheap alternative to be one step closer to being a Le Cordon cook! Now that the weather is getting colder and Halloween is around the corner, I’d like to talk about my favorite Fall crop, the pumpkin. I first encountered pumpkins in Germany, since the Philippines is firmly sqash territory, it being a tropical country. I have learned to appreciate Hokkaidos, and I would like to try carving my own pumpkin either this year or next year. My favorite squash/pumpkin dish is Guinataang Kalabasa (Squash stewed in Coconut Milk), a stew with chunks of pork, squash, and string beans. I’ll put up a post when I make one. In the meantime, I’ve been busy working through the last of my Hokkaidos. On top is a soup I picked up from the book “Growing Vegetables,” one of my TK Maxx finds. 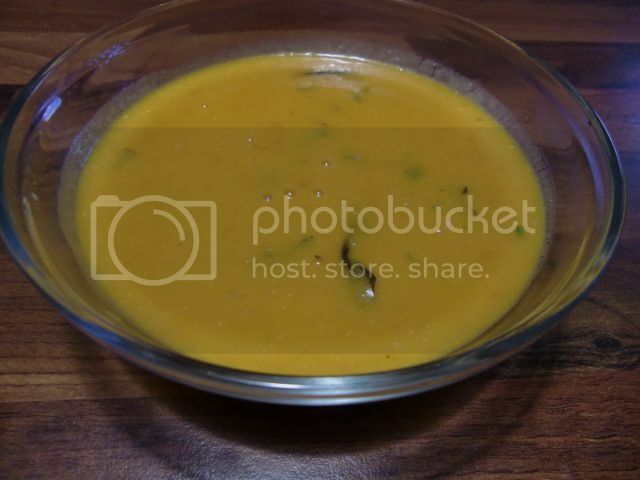 It’s just a soup version of the stew I mentioned above. I’ve noticed that pumpkin or squash always goes with coconut milk or heavy cream, ginger, and some meat. What are your favorite pumpkin recipes? What other ingredients complement pumpkin? My dirty secret: I pick up books from TK Maxx (yes, you read that right. They’re called that in Germany). They occasionally have English-speaking cookbooks, and since I live in a place where English has come to die, I grab them all to myself while cackling …mine, mine , MINE! I am vaguely familiar with Nigella Lawson, since I have seen some of her shows when I was still in Manila. 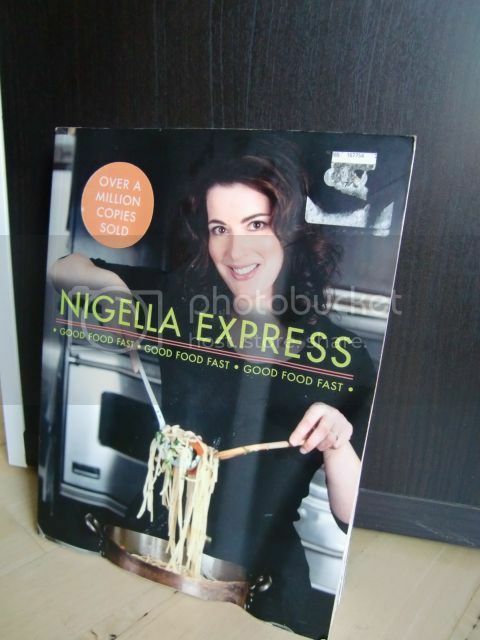 When it was on the TK Maxx shelf I picked up Nigella Express half-off. The book is fairly hit-miss. All of the recipes are quick and easy-ish to make, and some are really good, like the peanut flavored Asian noodles. There are several recipes here that I make a better-tasting version of. Some recipes don’t really speak to me flavor wise. Sometimes, her writing smacks of trying hard to be breezy, that hey with a snap of my fingers and a click of my heels I just managed to make this scrumptious dessert! However, I have this book to thank for the second most fluffiest*, the most economical pancake mix recipe I’ve ever encountered. It is so flexible, so practical, that I now have time to make pancakes every weekend (and sometimes during the weekday!). 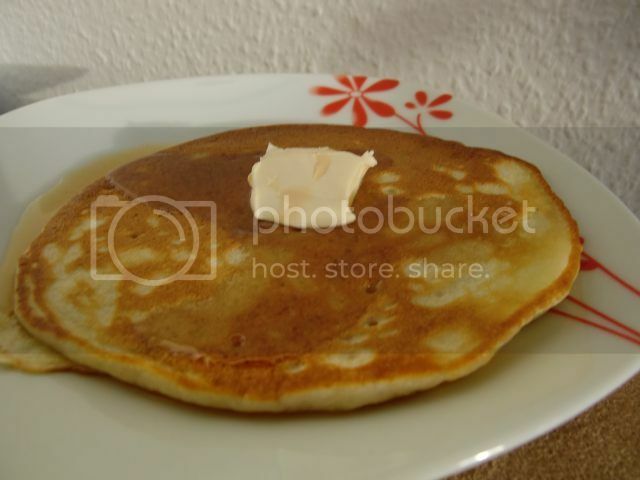 with a little more water, it becomes German pancakes. If I am in the Philippines, I substitute the vanilla sugar in the UK recipe (which is what I have) with a tablespoon of vanillin flavoring. 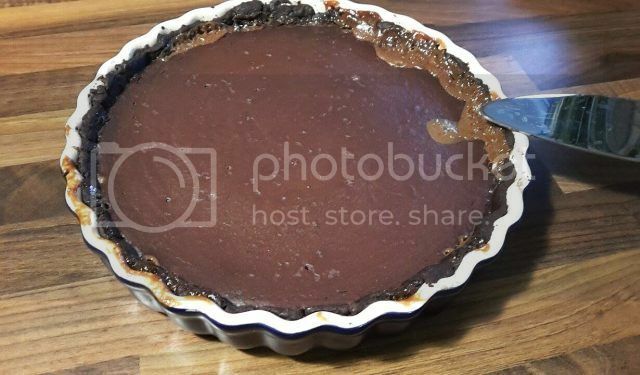 For the US version of the recipe, click here.